More systematic and effective approach can generate higher production rate and fasten the pace of producing standardized, stable and precise test results. Helping our customer achieve success in international competition of areas such as medicine, petrochemical industry, food, government laboratory, colleges and institutes. The CE 7smart is the 4th generation of Sotax’s design for dissolution of poorly soluble and release control dosage forms via USP Apparatus 4 (Flow-Through Cell Dissolution), and is compliant to USP, EP and JP for Small Volume Dissolution and Poorly Soluble Compound Testing under Sink conditions. Based on 35 years of experience, the CE 7smart meets USP requirements for the flow rate and temperature to be qualified, and is designed to overcome potential challenges linked to method development for a variety of dosage forms. Incorporating the concept the modular, scalable and future-proof technologies, AT dissolution apparatus provides a complete and flexible sampling solution in R&D and QC laboratories. SMOLEFIN from Chemspeed is the advanced solution in the area of high flux and high yield catalyst , creating a new solution for compound, reforming, storage and application of sensitive catalyst and Corrosive catalyst and reagent. DMS sample bank establishment and application. DMS(Dried Matrix Spot) can collect micro quantity of liquid. Through a piece of DMS card, liquid sample can be collected anywhere, and easy to store、analyze and apply to areas such as diagnosis、pharmacy、food and environmental monitoring. Through the combination of these data, a precise data bank will be established. We are proud to represent some of the most renowned European makers of scientific instruments, mostly based in Switzerland and Germany. Their background and offerings are profiled below. For more information on these outstanding suppliers, you may click on the link to see details of their outstanding products. 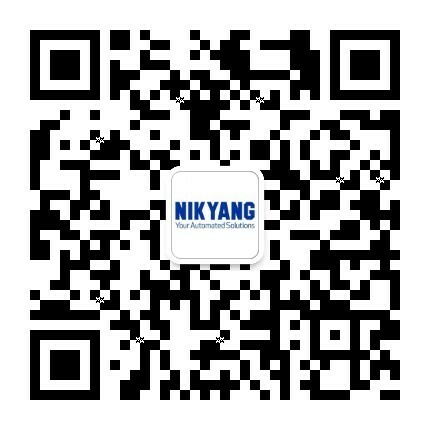 Nikyang represents the pharmaceutical testing leader, SOTAX in providing the testing equipment in the development and production processes for our customers in the pharmaceutical industry. Our extensive market and process know-how enable us to meet our customers’ requirements and comply with the USP, EP and CP requirements relevant to them. We are also open to cooperation with new industries. Nanotechnology is helping to considerably improve, even revolutionize technology and different industry sectors: information technology, energy, environmental science, medicine, homeland security, food safety, and transportation, etc. By using nanotechnology, materials can effectively become stronger, lighter, more durable, more reactive, more sieve-like, or better electrical conductors. Nikyang is proudly representing Sepiatec to provide high throughput separation systems based on one- and two-dimensional HPLC (High Performance Liquid Chromatography) and SFC (Supercritical Fluid Chromatography) technology, enabling our customers to speed up their separation significantly in the areas such as natural compound handling, chiral column screening, protein screening, and method development. Herbal researchers have long been seeking robust tools for screening analysis and quality evaluation of their plants or derived herbal products to separate and select useful natural components. Today, there are also ever-increasing demands for drug analysis, consumer product monitoring and many other applications as well. Thin layer chromatography (TLC) has become an essential and universal tool for analysts and researchers in their chemical analysis. With increasing economic demands, it is becoming progressively more important to gain additional information on drug candidates early in the development cycle. Better informed decision can be made during the selection of candidates if further solid state information is available – saving time and money later on in the development process. But early stage drug candidates are difficult and expensive to produce and often only a single gram of materials is available. We are willing to deal with any scale any laboratory automation challenge – and we design appropriate solutions for the ability of confidence. Let’s serve you with the spirit of innovation.